If you are an ardent lover of six yards, then you must be having almost all types of sarees in your wardrobe. 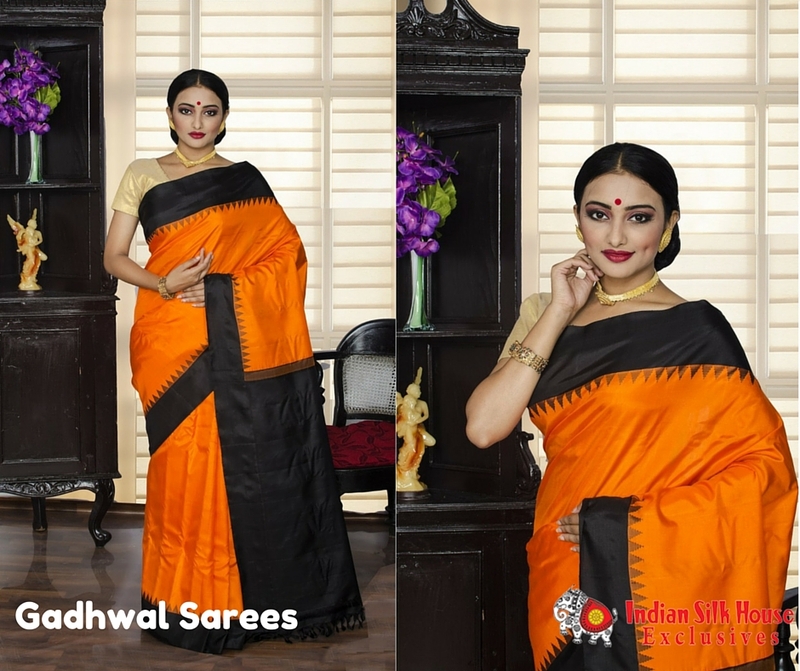 Nevertheless, the aura and the comfort that the handloom sarees offer are incomparable. Dressed in elegance, a lady can carry these hand stitched creations in their regular chores, and as well as look good at parties. Such is the magic of these skilled creations. The handloom sector marketing drapes are becoming increasingly popular in the country. And, why not? It is the largest generator of non-farm rural employment and instills a firm place in enhancing the economy of the country. And, the best part of such creations is the immense contribution of the laid back, poor class of the country. Their skills get a chance to come out in the public eye, and in turn, they get paid. It in a way appreciates their craftsmanship and also takes a step forward to diminish poverty from the country. Being largely household based, it has the contribution of the entire family, and hence comes second after agriculture in framing the economic condition of the country. Handloom sarees are completely made from 100% natural fibres, and this can be counted as the prime reason for choosing handlooms instead of other materials. Starting from the manufacturing of the drapes to the production of it, everything involves natural fibres. So, the Jamdanis or the Chanderis that you see on display in the showrooms are actually made from the pure silk or cotton or Khadi. So, who would mind wearing eco-friendly clothing? The Indian handloom industry doesn’t fail to uplift the artistry of weavers, and also shows the rich and diverse Indian Culture. Every state of the country has a different artwork to boast, and so does their weavers. A weaver from Bihar would do an excellent Madhubani art in the six yards, while the weavers from down South would do excellent work on Kanchipuram. With unique painting, needlework and weaving design, every handcrafted piece is different from the other, and it is worth having every single piece. As already we discussed before, handlooms are giving financial help to the poor. When you buy sarees online, a major share of financial help reaches them. More than 4.3 million workers have been working in this genre. So when you buy handcrafted pieces, you are in a way boosting their livelihood. Doesn’t it give you a nice feeling, deep down? Since the workers take the initiative of doing every saree in a unique way, therefore every six yard comes out to be something different from the rest. Starting from the fabric to the colour, it is unique, distinct and highly appreciable. And, this might instigate you to buy almost all of the varieties that you see in the online stores. Using anything chemical on your body can be harmful; you might not have thought about it, but, the chemicals or the dyes induced in the sarees you wear might be damaging your skin. It can be a slow process, but who knows where it will end? Why take a risk? Rather choose from the wide options of handloom drapes, which will be vibrant and perfect for your skin. Green is the new trend and handloom sarees fit the trend perfectly. So what makes you wait? Check out the options galore in the online sites, and start adding them to your cart!